Clare W Graves (1914-1986) was the psychologist on whose work Spiral Dynamics and several other powerful and practical conceptual models have been built. Although he achieved the emminent position of ‘Professor of Psychology Emeritus’ at Union College, Schenectady, New York State, when he retired through ill health in 1978, he was not particularly well known outside of certain academic and management theory networks and he has been largely ignored since his death. However, his model and the theory that supports it are without doubt amongst the most powerful and certainly the most cohesive and comprehensive of all attempts to map the development of the human psyche. Those who get to grips with Graves’ work tend to become decidedly passionate about it – such is the power of the model! His work is critical and fundamental to the aims of Psychology and the other behavioural sciences and is at the core of Integrated SocioPsychology. Graves felt as frustrated as his students and was on the verge of quitting Union when he resolved instead to carry out his own research project, starting completely from scratch – ie: he didn’t use any existing theory as a starting point. Effectively Graves started without a hypothesis and with only the broadest of aims! By collecting data without any preconceptions as to what patterns might emerge from its analysis, he was laying the foundations for what the sociologists Barney Glaser & Anselm Strauss (1967) would come to term Grounded Theory. 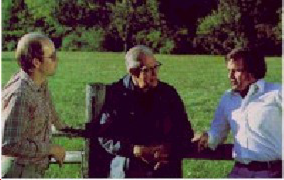 In 1984, just over 30 years later, Graves gave his last major presentation (to the World Future Society) on what he had come to call the Emergent Cyclical Double-Helix Model of Adult Bio-Pyscho-Social Behaviour. Graves began by getting his students to write down their conceptions of the psychological health of biologically-mature human beings. He did this on an annual basis and then had the data collated, assessed and categorised by panels of independent judges (inductive thematic analysis). A different set of independent judges were used each year to maintain a double blind effect and ensure the current year’s categorisations were not influenced by the previous year’s. Graves also worked on specific problem-solving exercises with the categorised groups. He conducted biophysiological tests with light and sound on the categorised groups (Graves, 1971a/1988) and tested their galvanic skin response (electrical conductivity of the skin) (Graves, 1971b/2002). He even injected some of them with hormones to see what effect this would have on their thinking and behaviour in terms of his model (Graves, 1978/2005). Tachistoscope tests revealed a near normal distribution for perceptual recognition of terms associated with their categorisation. The nearer the term was to the values of the categorised group, the more quickly it was recognised; the further away it was, the longer it took to detect the term. As Rainer Krumm & Benedikt Parstorfer (2018, p36)) remark about these findings: “This demonstrated that one’s own value systems make a difference in the subconscious processing of information.” Clare W Graves, W C Huntley & Douglas LaBier (1965) confirmed these tachistoscope findings for the C-P to G-T systems. Svenja Caspers et al had very similar results in 2012, showing how reliable they were. Some of Graves’ methods would be regarded as rather dubious when set against the heavy emphasis on ethics by today’s research academics. He did not tell his students what his intentions were but allowed them to think the various tests and exercises were part of their standard curriculum. He also observed them through 2-way mirrors and secretly tape-recorded them. 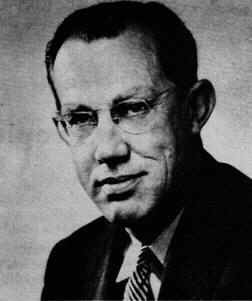 In trying to make sense of the immense amount of data he was collecting, Graves initially tried to map it against Abraham Maslow’s Hierarchy of Needs (1943, 1956), with which he had been much impressed. Besides Maslow, he also conversed regularly with O J Harvey and David E Hunt (of Harvey, Schroeder & Hunt) – Hunt had been one of his students at Union – and Jack Calhoun, among others. As news of his work and the conclusions he was drawing began to spread in the 1960s and 1970s, Graves received invitations to work in industrial situations, educational institutions and with prison populations which enabled him to collect data from new and quite different population groups. Unfortunately Graves appears to have entertained some short-sighted C-P (RED) in his own thinking as he threw out a large amount of the original test materials, retaining only the collated results. This has created difficulties in replicating and validating Graves’ project – already daunting due to its 30-year length and the sheer amount of data he collected. 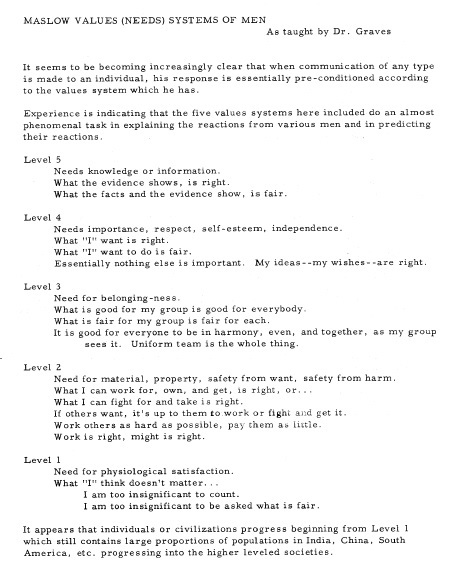 Early on Graves and his judges identified two basic values-oriented systems and 2 sub-systems of each system. Note: Graves did not use the letter-pair combinations of A-M for life conditions and N-Z for systemic/motivational response (vMEME) until 1970. The initial terms used were variations of those included in the 1966 publication – see below. The 1970 letter pairs and descriptions are used here for ease of understanding. In 1959 Graves found for the first time a very small number of his students identifying a level clearly beyond G-T as a superior conception of the psychologically-healthy human being: Deny/Sacrifice Self to existential realities (H-U). Clearly, in attributing individualistic characteristics to what he would later term H-U – though he was working with a very small sample size – Graves had yet to realise the cycling between individualistic and collectivistic motivations. The Autistic (A-N) and Animistic (B-O) levels were sketched in, drawing from the work of leading anthropologists; these levels did not show up as such in the studies Graves conducted. Though he admitted he personally couldn’t find enough reliable and significant evidence for it, Graves thought it likely there were relationships between the levels and intelligence and temperament. As Graves collected his data, he tried to make sense of it through mapping it to Maslow’s Hierarchy. This clearly influenced his teaching as the page of student notes (left) shows. However, he came more and more to the conclusion that there were several discrepancies between his evidence and Maslow’s construct. Arguably, the most critical of these was finding a more complex level, H-U, than G-T which Graves equated to Maslow’s Self-Actualisation. This led to some theoretical debate with Maslow. How much Maslow and Graves communicated and how much they influenced each other is a matter of some conjecture. However, Graves is known to have sympathised with a tearful Maslow at a mid-1950s American Psychological Association (APA) conference after Maslow had been heckled and barracked by a hall full of Behaviourists; and, in May 1965, when Maslow was ill, Graves stood in for him and presented his paper in New York City. Maslow drew the attention of British writer Colin Wilson to Graves’ work and introduced them to each other – Wilson’s 1972 book on Maslow’s life and work being one of the first to take Graves’ theory beyond the USA. Shortly before his death in 1970 Maslow finally acknowledged ‘Transcendence’ (H-U) as a way of thinking beyond basic Self-Actualisation. Graves claimed it was his data depicting H-U that finally compelled Maslow to recognise this mode of thinking. (However, Maslow had been pursuing an interest in spirituality for several years and was one of the founders of the Transpersonal Psychology movement.) The more knowledgeable students of Maslow tend to place Transcendence as the highest level in the Hierarchy, though Maslow died before he could formally revise its structure himself. A lingering difference between Graves and Maslow, however, was that of the ‘ultimate state’. Maslow saw the stages of development as forming a pyramid, with Self-Actualisation – later, succeeded by Transcendence – forming the apex. Graves, on the other hand, came to believe in the brain-mind’s ability to ever expand its repertoire of coping mechanisms by creating new thinking systems as circumstances demanded. This is illustrated in Spiral Dynamics by both the nomination of the hypothetical level I-V (CORAL) beyond H-U (TURQUOISE) and the Spiral ‘balloon’ graphic – the latter showing how the succeeding mindsets are greater in complexity, thus forming an ever-expanding spiral. (However, there is yet to be any scientifically-credible evidence of anyone thinking in a way beyond H-U.) Self-Actualisation was, for Graves, a never-ending process, not a (final) state and Maslow was mistaken to think of the meta-level of thinking he described in 1956 – which Graves equated to G-T – as Self-Actualisation. 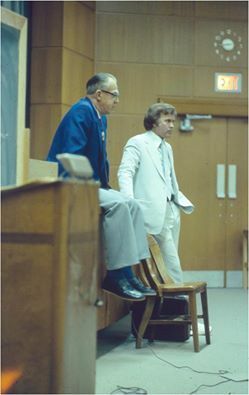 Although severe ill health forced his retirement from Union College in 1978, Graves continued to carry out research and to make presentations as best he could. His health problems effectively brought to an end his attempts to write a book about his work and the theory he had developed from it. ‘The Never Ending Quest’, published in 2005, was an invaluable completion of the abandoned manuscript by editors Chris Cowan & Natasha Todorovic, using other Gravesian materials. However, by the time of his retirement, Graves’ work was being taken very seriously indeed by a number of small networks across the United States. One particularly important pocket of support was in Texas where Scott & Susan Myers at Texas Instruments introduced the concepts to colleagues Charles Hughes & Vincent Flowers. Hughes & Flowers soon became the Center for Values Research – but not before Flowers had taken up a position at North Texas State University where he interested Don Beck & Chris Cowan (who eventually became the National Values Center) in Graves’ work. Together and separately they championed his ideas both within academia and in applications to industry & commerce and education. Don Beck & Chris Cowan, of course, developed Spiral Dynamics (1996) from Graves’ model. However, while it is arguably the most powerful development of Graves’ work, Spiral Dynamics is far from being the only ‘build’ on his work. Eg: Charles Hughes & Vincent Flowers (1978) set up their Value Systems Analysis model to apply Graves’ concepts to industry & commerce. Aiming for a similar market, in 1989 Dudley Lynch & Paul Kordis launched what would become, in Lynch’s hands, a whole series of Graves-derived books and assessment tools using the metaphor of ‘ dolphin strategy’. In recent years, before their deaths in respectively July and September 2015 – see the Blog post Fare Thee Well, Christopher Cowan! – Cowan worked closely with Bill Lee, the self-described ‘Graves Archivist’, to recover, preserve and publish original Graves materials – both online and paperbound. Much of their work is available at www.clarewgraves.com. Graves’ model and his theory have yet to be validated to academic standards. However, hundreds – if not thousands! – of Gravesians are actively using the model to make a difference in the ‘real world’. Thanks again Keith for bringing clarity and historic accuracy to Graves and his legacy. We’re all thankful for the hard work you do.